If you want to stay healthy and want to reduce fat quickly, Green Smoothie is an ideal choice. Easy spinach smoothie and others green vegetable smoothie is one of the easiest sources of high nutrition. According to The American Cancer Society, we have to eat 5-9 kinds of fruit and vegetables every day to prevent different types of cancer and disease. But eating fruits and vegetables one by one is a boring thing. 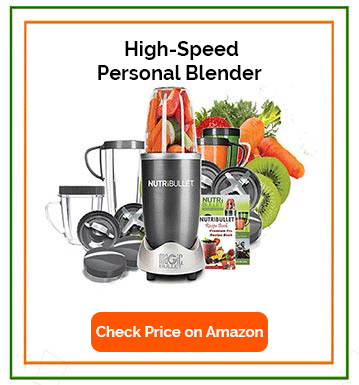 So every day we can drink by making various smoothie recipes by blending some amounts of fruits and vegetables. Which is rich in high nutrition. Spinach is a high quality nutritious and antioxidant-rich green food. The antioxidants found inside the spinach are essentially called antioxidant beta-carotene. There is also a lot of vitamin A, B2, C and K in spinach, as well as a huge source of magnesium, manganese, folate, iron, calcium, and potassium. As a result, it plays a role in preventing various types of cancer, especially skin, prostate, breast and ovarian cancer. Karolina Institute in Sweden One of their studies has found that those who regularly eat spinach, their spinal cord health and muscle strength are much better than others. Eating spinach in three consecutive days, it increases the ability of the body to accept a high amount of oxygen, which boosts the efficiency of our mitochondria and cell growth. Because spinach has more oxalic acid, the body can’t absorb its proper nutrition. It can be prevented, if we eat spinach with vitamin C foods such as tomatoes, capsicum, lemon juice or orange juice, etc. So you can eat spinach 2-3 days in a week or you can keep it as a special dish on the food menu. You may have eaten several types of Smoothies so far. But do you know spinach is a high-nutrient green vegetable? So today I will introduce you to some special spinach smoothies. But if you want to get proper nutrition, the components of Smoothie need to be very well blending. And for that, you need a high powered blender. Which you would certainly like as a health conscious person. 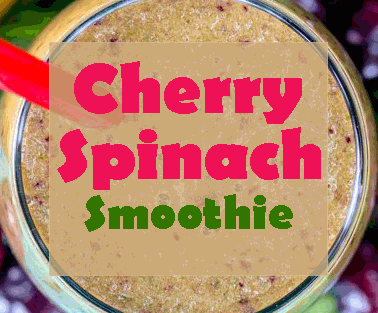 Cherry Spinach is very refreshing and healthy Smoothie. So instead of several unhealthy foods, you can eat it as a snack in the morning or afternoon. This smoothie is made up with few common components. But its texture and taste are unrivaled. Which will be able to refresh you instantly. To make it, you need frozen cherries, spinach, banana and milk. Spinach should be washed thoroughly with water. If the frozen cherry is not available to the hand then the strawberry can be used. Or you can buy frozen cherry from a super shop. But I prefer to use fresh cherry. The taste of almond and coconut milk is very good. But you can use any milk as your choice. A cup of almond milk or according to your choice. 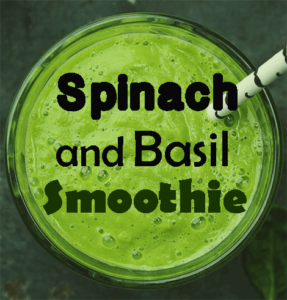 Spinach and basil is a huge assortment of antioxidant. Which will help in boosting your metabolism further? This may be a good breakfast as a morning snack. It’s completely fresh and homemade. If you practice eating a glass of fresh spinach and basil smoothie every morning. Then it will help to normalize your blood circulation. Which will make your skin smoother and glow. 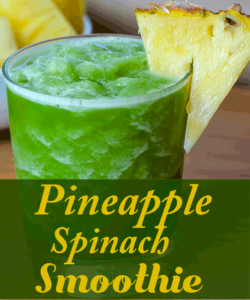 Smoothie made at the combination of pineapple and spinach is very tasty and full of nutrition. Which plays a significant role in your weight loss. You can also mix bananas and Greek yogurt. Which will make Smooth more creamy and sweet. Yogurt is a good source of protein and calcium. 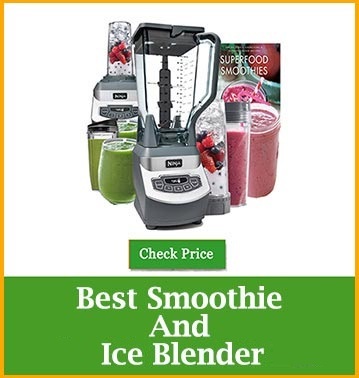 It is very easy to make, just put all the ingredients into the blender and blend it smartly.